Ancestral is the only firm in the Philippines specialized in offering the traditional wood fired oven "pugon" greatly known as "LA PUGON". 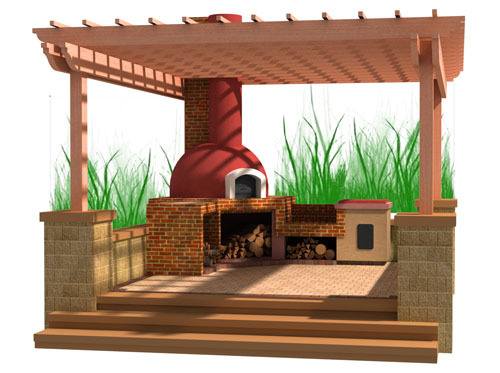 We design and build LA PUGON wood fired oven on a wide a selection from traditional, rustic and a contemporary look. 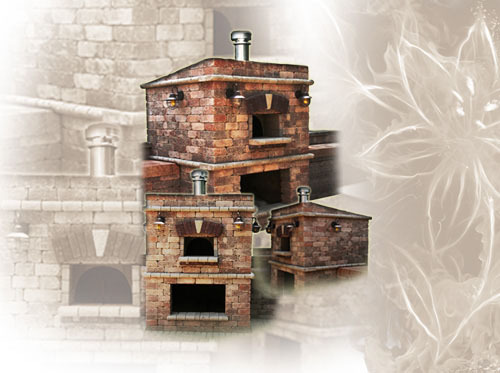 With so many LA PUGON wood fired oven designs from which to choose, it's easy to create a unique look of your own by combining components and accessories to enhance its appearance. 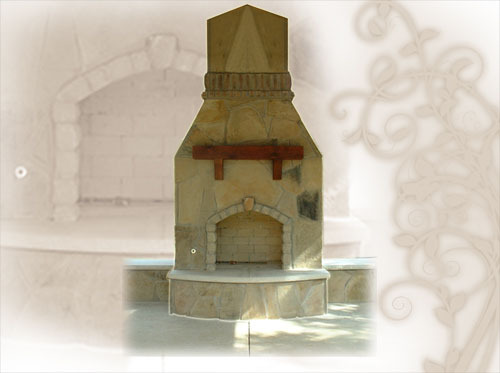 If what you desire a more elaborate LA PUGON wood fired oven look; we have this covered for you. The LA PUGON wood fired oven features impressive and effective functions which are enhanced with the use of only heat resistant materials. 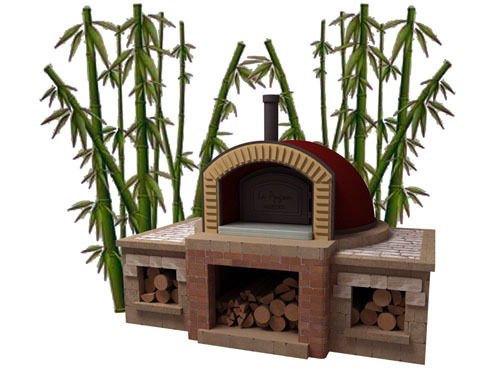 The do-it-yourself wood fired oven has finally come to an end as we revolutionized the traditional wood fired oven applications to a LA PUGON wood fired oven sophistication and convenience. 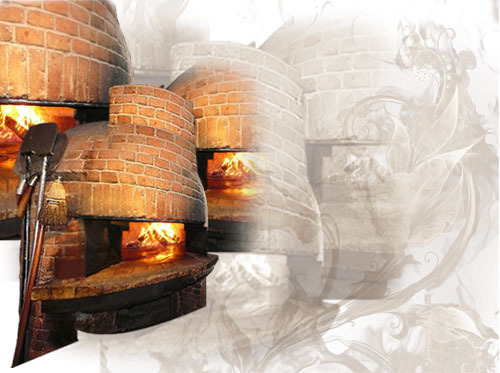 Our unparalleled studies searching for the perfect material, precise engineering and creativity were painstakingly employed resulting to a finest quality performance of the LA PUGON wood fired oven. Take advantage and own a piece of tradition to your home. Enjoy to bond with your family, explore LA PUGON wood fired oven applications and discover the pleasure of creating exceptional dishes. 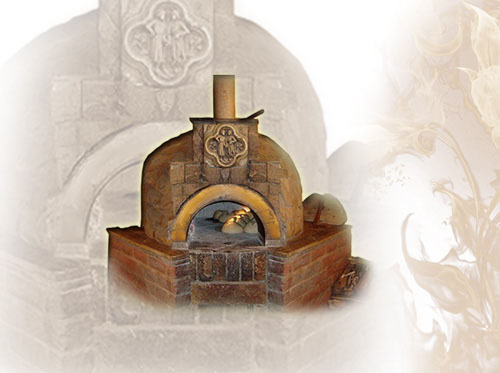 LA PUGON wood fired oven will surely bring your cooking experience to the next level. 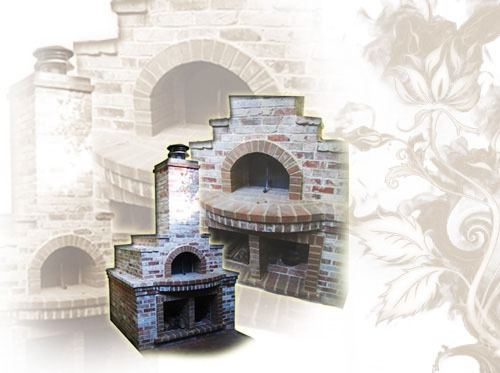 We give detailed attention into planning LA PUGON WOOD FIRED OVEN thru obtaining all specific measurement and to custom draw the design to give you better view of what you're getting. We make sure every element is studied to ensure that LA PUGON WOOD FIRED OVEN is complimenting and executed to your satisfaction. 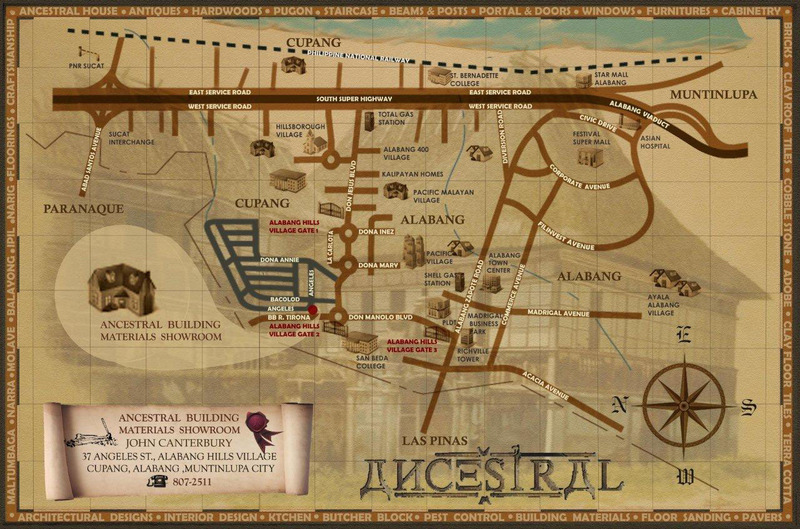 From our humble beginnings in offering reclaimed building materials in the construction industry, Ancestral Building Materials has come to expand its offering and has been recognized as the pioneer in Wood Fired Oven Design and Construction, or LA PUGON as we call it. Our organization is driven with our continuous commitment in exploring and defining our rich culture and creating it as our inspiration to improve our offering into a larger sense of quality, excellence, timeless and trend setting styles, and functionality meeting the needs of today's generation. We combine traditional application enhanced with cutting edge techniques and finest materials to ensure that our product and services are a cut above the rest in both aesthetics and build quality. 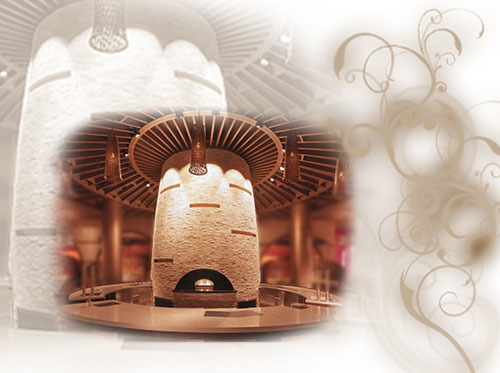 The outstanding LA PUGON Wood Fired Oven innovation, its extraordinary craftsmanship and sensible pricing, have built us a reputation as a firm with unparalleled merit. Other Landscape Stones: Adobe, Cobblestone, Piedra China and etc. 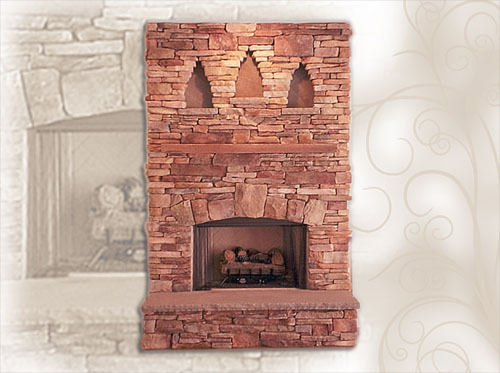 FIREPLACE adds warmth, comfort and an inviting atmosphere to any space. Our FIREPLACE are design and built with the combination of both elegance and functionality to enhance your living experience in your home. 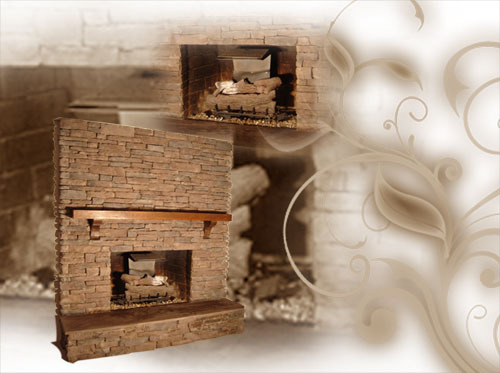 From a classic to a free-flowing, sleek artistic designs, we custom built the FIREPLACE to fit your unique needs, preferences and style. Our designs include and not limited to all the pictures above. Before you start cooking, take a minute to visualize how your oven works. 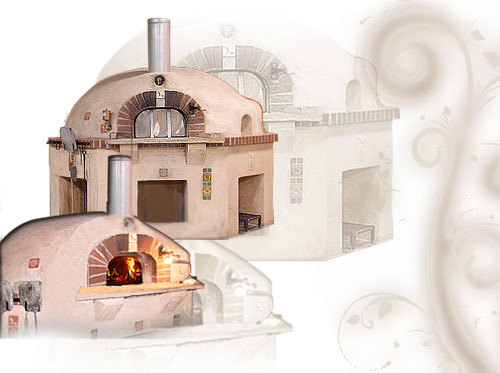 Your goal in firing your oven is to transfer and store enough heat in your oven's cooking surface and oven dome to achieve a balanced cooking environment that takes advantage of conductive heat from the cooking surface, reflective heat from the dome, and convective heat from the hot air circulating through the oven. Start the fire in the oven approximately one hour and a half before cooking (time depends on size of oven) in the middle of the oven floor. Use a combination of small split pieces with two or three larger pieces of firewood. Remember to use only dry woods when firing your "La Pugon" wood fired oven. Your firewood should not smolder or smoke before catching fire, and should burn easily and quickly. It is easier and faster to light your "La Pugon" wood fired oven thru the use of a butane torch. Alternatively, you can light the firewood until a nice little fire is burning. 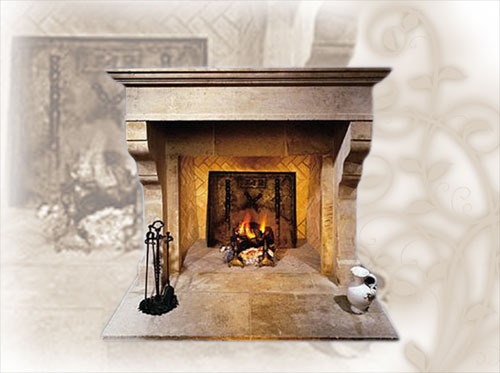 Avoid wax and sawdust fireplace starters, as they affect the taste in the food. Once the fire gets going, gradually add 2-3 pieces of wood so that the flame reaches the center and front of the dome, without lapping too far out of the oven opening. Once the fire is well established, continue adding more wood every now and then, and wait for about 20 minutes. After about 20 minutes, a small spot at the top center of the oven dome should start to turn clear (or white), and then begin expanding outward. This "whitening" is the sign that dome is reaching the desired cooking temperature. 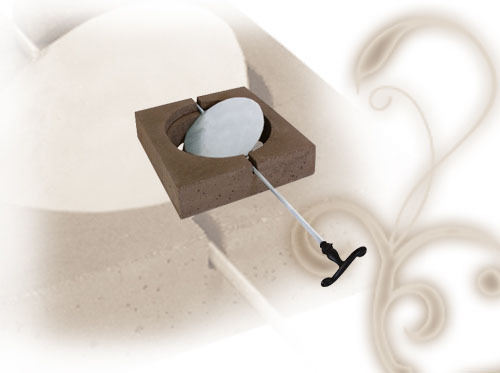 Once the whitening has started, begin building the fire toward the walls of the oven by adding pieces of wood on either side of the fire, and in the back. This wider fire will help drive the necessary heat across the entire cooking floor, and evenly spread heat across the cooking dome. Within a few minutes, you will see the whitening spreading across the dome to the sides. After roughly 45 minutes, the entire cooking dome will turn clear, and the cooking surface will have reached about 340ºC or 650ºF which is desirable for cooking foods. If several baking are planned, the fire is maintained for a longer period. Alternatively, you can rake out your coals from "La Pugon" wood fired oven. Allow your oven temperature moderate, and begin retained heat baking. If you will be baking with a fire, or hot coals, you should push the fire to the side of the oven, not to the back. This makes cooking better by being ready to turn the foods while cooking. Wood-fired ovens work by breathing in cold air through the lower part of the oven opening, heating it and circulating it around the oven dome, and then exhausting it out the top of the opening. By putting the fire in the back, you are giving the cold air a longer path before it hits the heat source, which is both cooler, and less likely to create a nice circular convection pattern. The type of wood you burn will depend to a large extent of the species selection on your area. Each wood have their features. Fruit and nut trees are popular choice for heating "La Pugon" wood fired oven; as they give a nice consistent heat which burns well and clean, fragrant and rich in scent, lasts longer and gives off nice flames. When choosing your firewood, there are two important things to remember. First the kind of wood used influences the taste of the food you cook. Secondly, dry, seasoned or aged woods for six months to a year burns well, and produces the heat that your "La Pugon" wood fired oven needs. Fresh cut wood or green wood has too high of a moisture content to be of any use for cooking. Green wood burn poorly which will not bring your "La Pugon" wood fired oven to heat up the way you want, and it produces a lot of smoke which can soot up your oven. Avoid burning sappy, oily woods and never burn laminated woods like plywood, pressure treated woods, or anything that has been painted, chemically treated or glued, as they will impart unpleasant flavors to the food, create far too much smoke, and deposit soot in your chimney and can darken your oven enclosure. Cooking in "La Pugon" wood fired oven is not different than using a regular oven; you will quickly learn how to gauge and to regulate the temperature. Managing the oven temperature is basically simple. When the dome of the oven is whitened, it means maintaining the high temperature/s you want. While, when the color begins to turn black, you need to increase the fire. You may use a laser-guided infrared temperature gauge to get an accurate reading of temperature/s of your "La Pugon wood fired oven". For a more traditional way, you can learn to measure your cooking surface temperature using the flour test; or learning to check the temperature of the oven thru reading the flames. After you have fired your oven and have begun cooking, you may keep a live flame going at all times. The heat from the fire is reflected down on your food, and continues to replenish both the dome and cooking surface heat reserves. Everything has its own start, so do not be afraid to experiment and to really fire up your "La Pugon" wood fired oven to see how it performs at a range of temperature. Learn the characteristics of your "La Pugon" wood fired oven by trial and error; and finally experience the heat of your own oven to know when it is ready. It is a heat coming from a direct source. 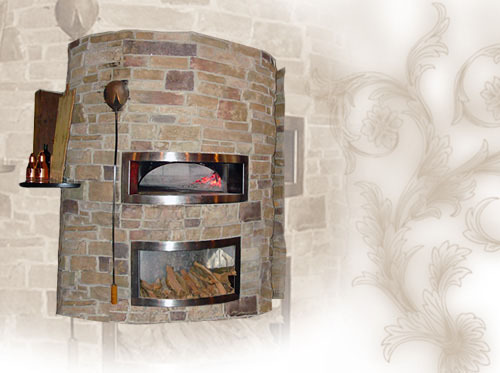 In a wood fired oven, radiant heat can come from two sources; which is directly from the fire; and from stored heat in the oven walls and hearth. 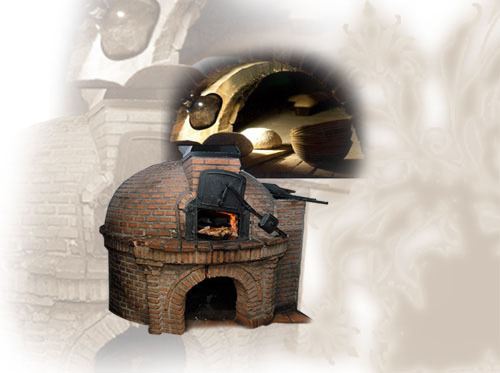 When the "La Pugon" Wood Fired Oven is heated properly radiant heat is stored in the dome of the oven as well as the oven floor which is capable on cooking the food directly rather than heating the air. 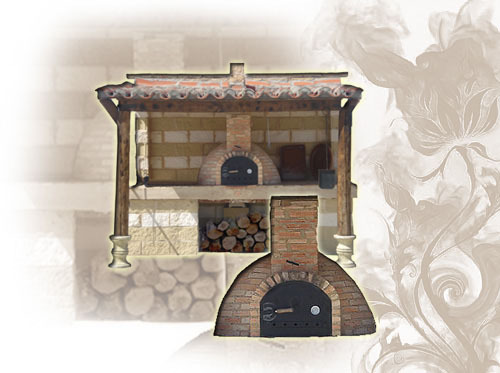 The well engineered shape of the "La Pugon" Wood Fired Oven keeps radiant heat efficiently utilized and evenly stored for longer period of time. Convection is a more efficient method of heat transfer because it adds the element of motion. It is usually used to describe the natural circulation of gas or liquid caused by temperature differences. 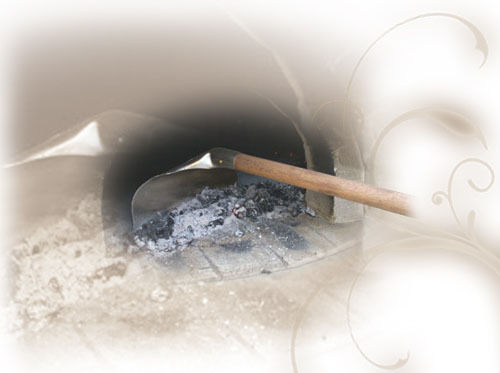 The cold air from the La Pugon Wood Fired Oven opening is drawn inside the oven which is rapidly heated by the fire and by the stored heat in the oven. The continuos process of moving heated air inside the oven creates heat transfer known as convection. The natural convection on La Pugon Wood Fired Oven is a unique cooking ability which causes a steady flow of heat that cooks food evenly. Conduction is probably the most basic and intuitive way of achieving heat transfer: It is a method of heat transfer through materials or between objects that are in physical contact with one another. The efficiency of the heat transferred in this way depends on the conductivity of the items involved. With almost all types of cooking, the "La Pugon" Wood Fired Oven is capable of an almost endless variety of cooking styles. 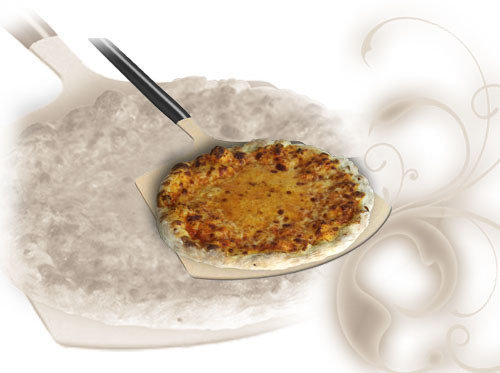 Fire-in-the-oven cooking (650ºF and up) is used for baking pizza, pizza-like flatbreads and certain types of appetizers, all of which cook in a couple of minutes. In this type of cooking heat would have to completely fill the floor and dome while continuing to maintain a large flame. Foods for cooking are cooked right on the floor next to the fire. Leave the oven completely open, and add wood every 15-20 minutes to maintain a large flame. Roasting temperature range between 600ºF - 450ºF, or lower than high heat fire-in-the-oven pizza cooking, and higher than traditional baking. 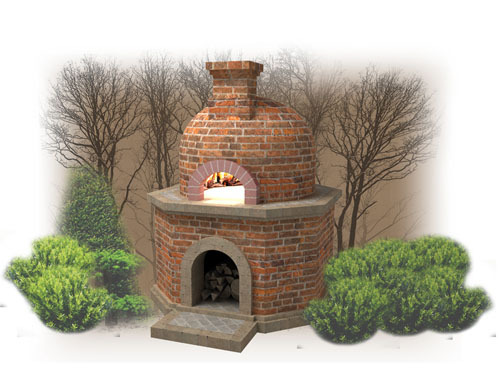 In roasting with "La Pugon" Wood Fired Oven, first bring the temperature to a large flame or in a pizza temperature. Gradually allow the temperature to drop and the fire to burn down, but not out then push the coals to one side. The combination of a fully fired oven, along with a low fire enables you to sear and brown dishes, and then allow the oven to slowly drop in temperature for longer cooking. The door may be left off for shorter roasting times (under one hour) or positioned inside the arch opening to help regulate the heat for hours of roasting. Add small pieces of wood as needed to maintain temperature. . Roasting, the food in the "La Pugon" Wood Fired Oven may be placed on a rack, in a roasting pan or, to ensure even application of heat, may be rotated on a spit or rotisserie. "La Pugon" Wood Fired Oven is also capable for baking bread, desserts, smaller roast meats, beans and legumes, and pasta dishes. 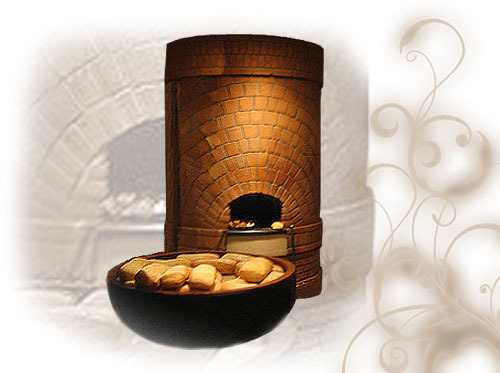 Baking at "La Pugon" Wood Fired Oven is at conventional oven temperatures or 500ºF and down). To start baking, after fully firing your oven, you may either choose between raking out the hot coals and brush out the oven or maintain only a few hot coals in the oven while baking. If you prefer the former, you can swab the oven floor with a damp towel and start with baking gently and consistently with the heat retained in the oven dome and floor, as the temperature falls. Grilling is done in "La Pugon" Wood Fired Oven through raking a layer of hot coals across the cooking floor at the front of your oven, and sliding a free standing cast iron grill into the oven. The oven opening should be open to allow convection cooking while grilling. Grilling on your "La Pugon" Wood Fired Oven achieves great results, keeping food crisp on the outside but juicy on the inside. Every LA PUGON wood-fired oven deserves the high quality tools and accessories; however there are a must-have starter tools and accessory for LA PUGON WOOD FIRED OVEN that you should consider to have around for efficient and safety food preparation and cooking. Check the tools and accessory below to figure out what's best for your need. 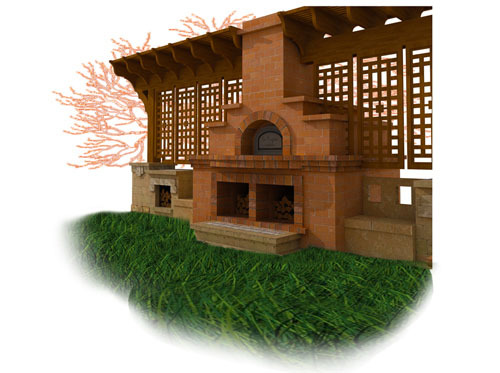 Ancestral Building Materials works with you, individually, to design a personalized LA PUGON WOOD FIRED OVEN project for your home. We serve you from the initial design stage to project completion, providing complete onsite coordination of all tradesmen. 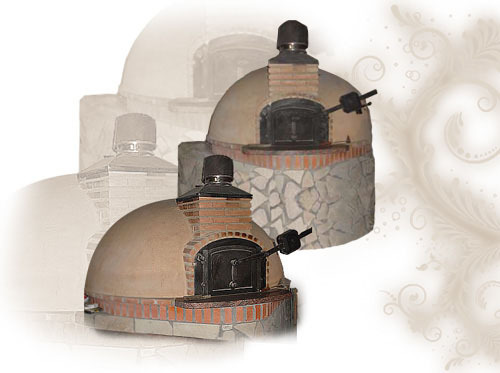 We work to ensure your LA PUGON WOOD FIRED OVEN is completed right and according to your specifications. 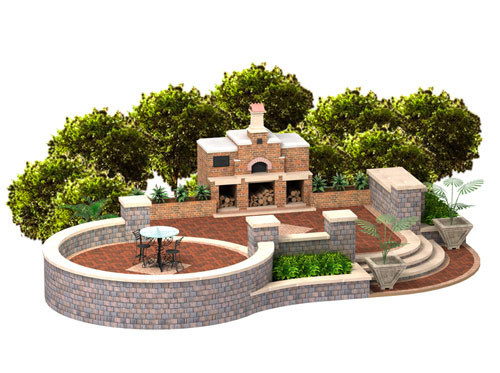 Whether for kitchen use or for accentuating your space, we will custom build the perfect LA PUGON WOOD FIRED OVEN to match or compliment your business style and need. 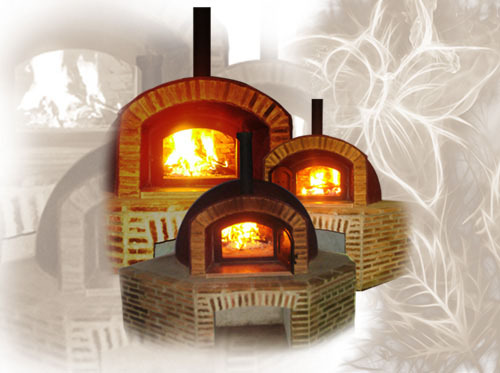 We blend both the physical and functional requirements into achieving your design and building your LA PUGON WOOD FIRED OVEN with the personalized touch that will surely give your business a lifetime character and refined functionality. 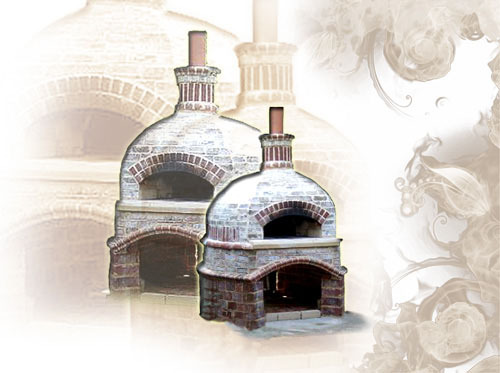 Several unique LA PUGON WOOD FIRED OVEN designs can be seen on pictures below. We offer a full spectrum of interior design services for both large and small projects. We specialise in traditional to contemporary interior designs for residential and commercial developments. Our service guarantees working closely to Clients to discover the taste, style and budget. 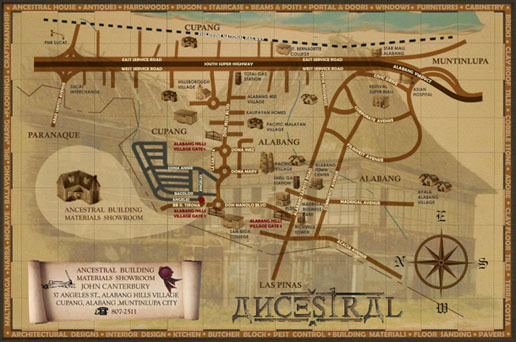 Ancestral Building Materials provides premium hardwood posts and planks that are reclaimed from de-construction of antiquated and unsound structures. The integrity of these post and planks are unparalleled on its architectural quality, character and flexibility. They are available "as is" with all the original character or can be re-milled and re-manufactured to your specifications. All our doors are custom made, from a nearly unlimited choice of reclaimed woods. Our doors are designed in detailed specifications and carefully handcrafted for beauty and quality. We offer a wide range of portal doors, interior doors, exterior doors, garage door, french door, antique door, medieval door, contemporary door, and custom built doors unique to your preference. 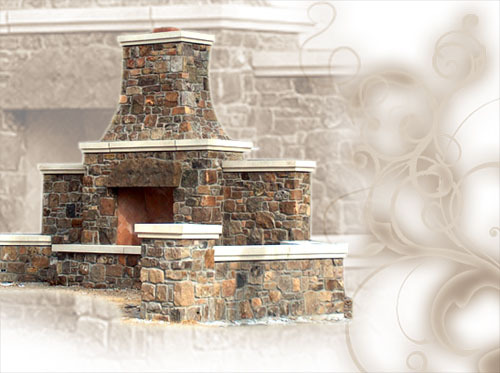 La Pugon "Wood Fired Oven"
Being the first in the Philippines, we offer authentic wood fired oven in numerous designs and features to fit any residential and commercial applications. 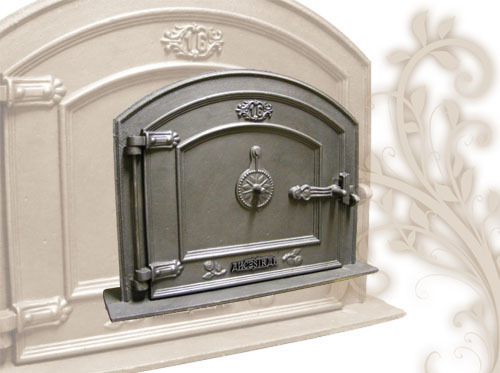 We build our wood fired ovens with lasting functionality and beauty. We combine layers of heat resistant materials that are capable of retaining high temperature and are stable over repeated heating and cooling cycles. We continue to long stand our commitment in supplying the industry of reclaimed treasures for today's demand and generations to experience. We have a variety of reclaimed construction materials, architectural pieces, furnishings and ornamentation in stock. Recycle and re-use of these materials add a distinctive look to your space and an environmental friendly alternative to new materials. We pride ourselves on the complete design and manufacturing of wooden cabinets. Our cabinetry is built to order in various designs for kitchen, bath, entertainment, study room, display area or any other application where cabinets are needed. Built from renewable hardwood lumber, our kitchen and cabinetry are available in an array of option, styles, materials and finishes. Over years of experience, we are known on our expertise in designing, custom fitting, supplying and installing staircase components from wide range of quality parts from unique materials, choices, options, and endless customizations. Our fabrication and service offers clients full assistance throughout from the design stage to the fabrication and its installation. We are engaged in offering a huge assortment of wooden window. Our wooden windows are available in many sizes as per the diverse tastes and preferences of our clients. We are known to fabricate wooden windows using high quality reclaimed lumber which ensure its aesthetic character and durability. We have the tools, expertise and experience on creating all kinds of woodworks requirement. Our artisans and craftsmen designs and handcrafts each woodwork piece as per the specifications provided by our clients. We make sure that each and every detail of the requirement is met and the finished product is in accordance with the specifications. Our Wood Fired Oven "La Pugon" is flexible for a classic and streamlined look which works well in a variety of residential and commercial cook spaces. 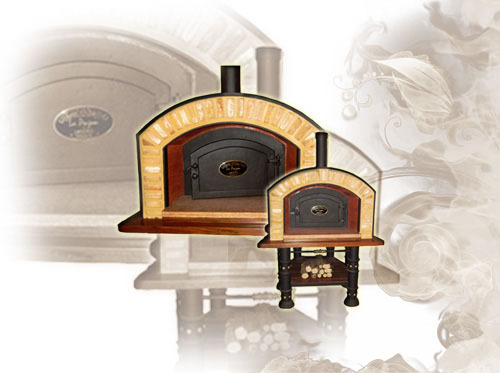 These wood fired ovens are heat t tight and highly durable; carefully engineered for the ultimate cooking experience to produce foods with amazing flavour. With our diverse knowledge and experience on construction tooling and techniques; we offer a full-service approach of general contracting services; this includes Architectural drafting, New construction, Custom building, Renovation, Restoration, Additions, Masonry, Floor installation, Floor sanding, Refurbishments, Painting, Wallpapering, Ceiling, Paneling, Decks, Roofing, Landscaping, Termite control. Craftsmanship is a reflection and a manifestation of pride in sound workmanship. We at Ancestral refer our trade of work as artistic, durable, useful, and handmade in skilful way. As we carry out our skills, taste and original thought, we produce and bring back the appeal of the past's artistic sensibilities. Thank you for your interest in learning more LA PUGON Wood Fired Oven. Please fill out the CONTACT FORM below and we will try to attend on your online inquiry the soonest. Inquiries submitted on Weekend or a Holiday will be answered on the next working day. SUBSCRIBE and GET our latest NEWSLETTER to help guide your decisions on our LA PUGON Wood Fired Oven. 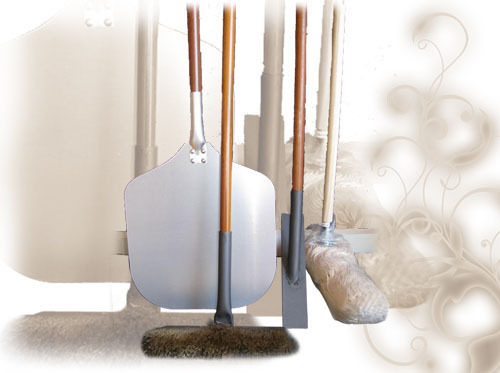 Don't forget to check out our website links below for more products and services that Ancestral Building Materials are proud to offer. 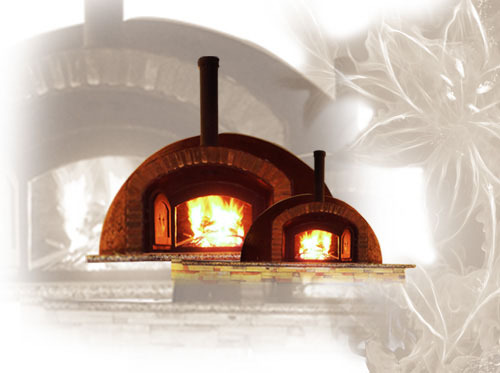 If you have questions and specific inquiries about LA PUGON Wood Fired Oven, we would love to hear from you.